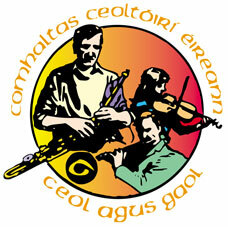 The Siamsa Charman Set Dancing Céilí takes place at Riverbank House Hotel, Ferrybank, Wexford on Sun, Nov 27 (3-6pm). Time to rattle the boards and shake the Winter chill from your bones! Céilí is the new disco! For newbies, the steps are very easy to pick up. Fear an Tí, John O'Byrne, will be there to guide you along. Music by Ger Murphy and Ken Cotter. Adm €10.